My mum is sending cards out to her friends soon for her birthday, and she asked me to design it for her. 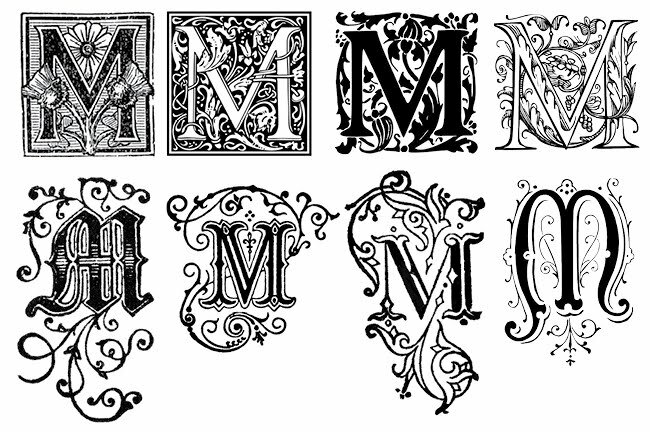 Her name's Marianne, and I designed a M-mmmmmonogram for her. Here are a few of the other decorative M's I found along the way.